Thanks to one of my best friends, Valerie, for the photo! It was nice to put a picture to the sounds. I love the internet! 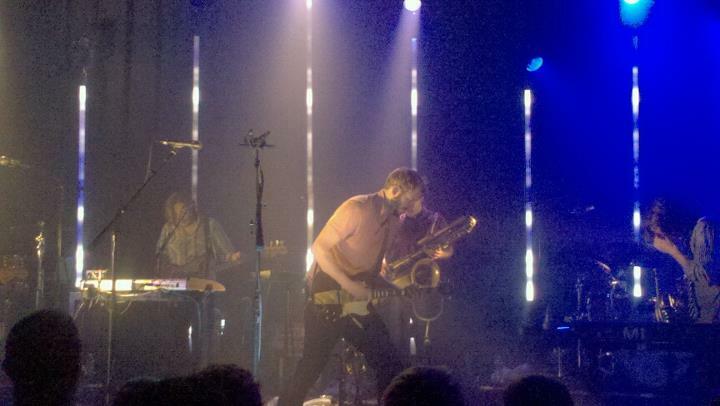 Because of nprmusic and its webstream, tonight, I was fortunate enough to listen to Bon Iver's show in DC! I really wanted to go to this concert but I didn't want to request off from work (not to mention the tickets were sold out). This was the best show I've (sorta, kinda, not really?) "been" to in quite a long time. I had a few glasses of my favorite wine (Cabernet Sauvignon) and the experience was unreal. I hope Bon Iver eventually comes to Pittsburgh. I need this in the flesh!